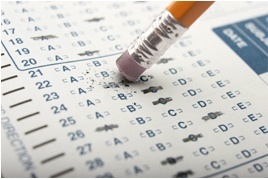 Psychometric tests: what companies are looking for? When companies are running a selection process they use various assessment methods to select candidates. Through these methods, businesses seek to gather sufficient proof that an applicant has the abilities and qualities to be successful in a specific position. One of the methods used by companies is psychometrics tests. These are structured exercises –usually in the form of multiple choices– designed to assess reasoning abilities or how a candidate would react to different work scenarios. Psychometric tests are usually combined with other techniques (like CV and cover letter analysis, face-to-face meetings, among others) during the interview process and most can be completed on-line, although some companies handle hard-copy questionnaires. They are often performed during the preliminary screening, prior to the first interview as a pass mark or cut-off score. So, what are companies looking for in these tests? They measure behaviours of the candidates in order to obtain an indication of strengths, abilities, behaviours and weaknesses. With this technique companies can determine if an applicant can deal with deadlines, is motivated or what type of performance can be expected from his/her job. Mainly there are 2 types of psychometric tests: The first one is personality test, which aim is to identify a personal type. With this assessment there are no right or wrong answers and they often take the form of paired items or pictures that candidates are asked to chose a preference. The second category are aptitude and ability tests, and with these kind of exams companies measure your reasoning or cognitive ability. These are usually timed and can include: verbal tests, numerical tests, spatial reasoning and subject/job specific tests.